2 Bedroom/2.5 Bathroom......Live lavishly on the 160 Madison Penthouse level with 10'6" ceilings and triple exposures with floor to ceiling windows! This over-sized penthouse offers views of many of your favorite iconic New York buildings as well as no shortage of closet space. 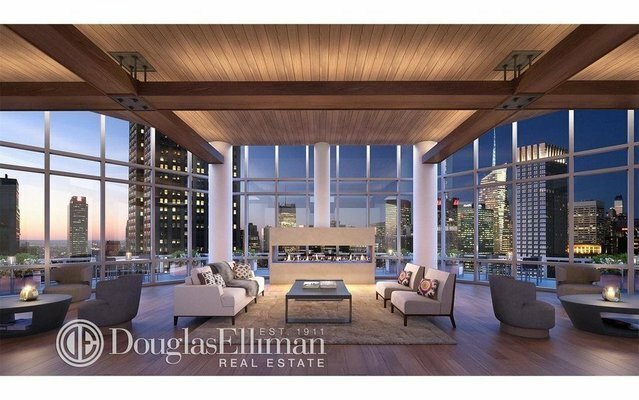 Unobstructed North, East, and Southern views await.Penthouse homes feature floor-to-ceiling windows, 10.6 ceiling heights, white oak finished floors and breathtaking views. In addition to a custom built dry bar in select residences, notable features in each Penthouse also include a chefs kitchen with Calacatta marble counters and backsplash, an integrated Sub-Zero refrigerator, wine cooler, Bosch dishwasher, and a 5-burner range. Each master bathroom features floor-to-ceiling Agora marble, Crema Lerici stone vanity counter and tub deck, deep soaking tub, glass enclosed shower, custom double walnut vanity, radiant heat flooring, and decorative recessed lighting accents throughout.Residences are infused with natural light through floor-to-ceiling windows.